We investigate dynamical instabilities caused by optical feedback, optical injection and mode locking in quantum dot lasers or other nanostructured semiconductor lasers. 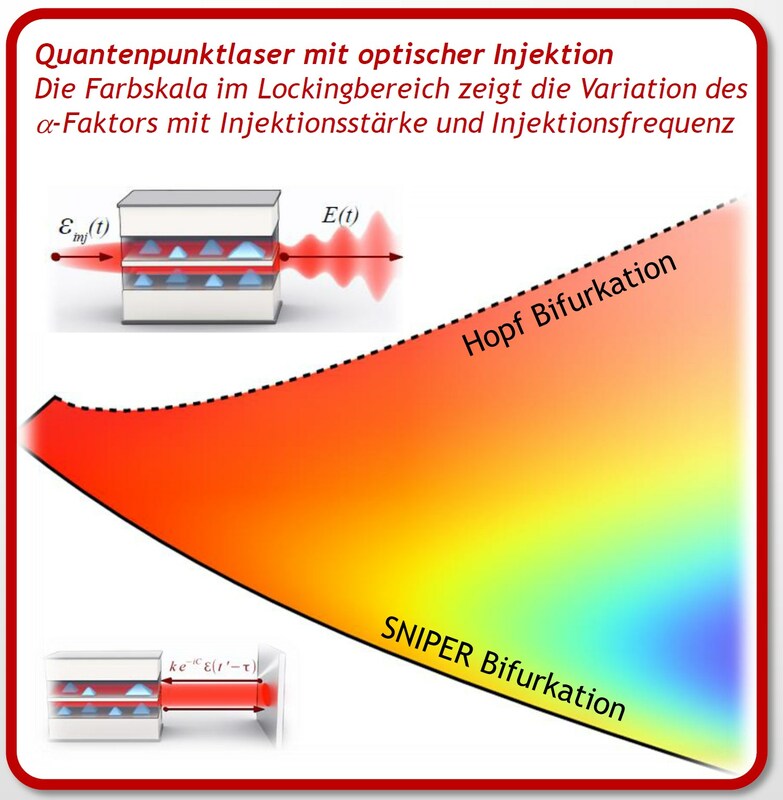 Furthermore we model optical amplifiers with the goal to optimize their effect. 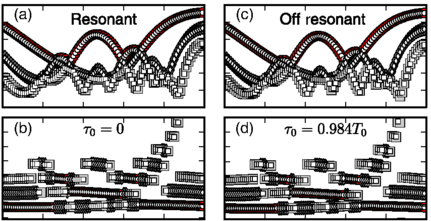 It is possible to compute phenomenological parameters such as amplitude-phase-coupling or non-linear susceptibility by correctly modelling microscopic scattering processes as well as internal charge carrier dynamics. To get a clear understanding of the occuring internal dynamics and bifurcation scenarios we use asymptotic techniques, path following and numerical methods. Reducing a system enables us to estimate analytical expressions, which in turn allows a direct forecast of experimental parameter dependencies. The second part of the Tandem Workshop Pattern Dynamics in Nonlinear Optical Cavities (PDNOC-2) takes place from 6-16 June 2017 in Auckland. It is a joined workshop between the Max Planck Institute in Dresden, the New Zealand Institute for Advanced Study (NZIAS) and the Dodd-Walls Centre for Photonics and Quantum Technologies (DWC) in Auckland. Organizers are Neil Broderick, Bernd Krauskopf and Kathy Lüdge. The focus is on pattern formation happening in optically active media, e.g., in different semiconductor cavities, in fiber laser setups or in materials with nonlinear optical properties. Details can be found here.